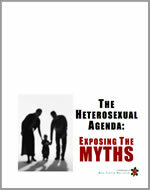 Box Turtle Bulletin » Does Uganda’s Cabinet Ultimately Hold the Key To Anti-Homosexuality Bill’s Passage? Does Uganda’s Cabinet Ultimately Hold the Key To Anti-Homosexuality Bill’s Passage? Under Uganda’s Parliamentary Rules of Procedure, a Private Member of Parliament can table a bill. However Cabinet ordinarily discusses the bill and associates itself (cabinet) with such a bill. The legislator can then approach the Ministry of Finance to get a Certificate of Financial Implications, indicating how much it will cost government to set up institutions and frameworks for managing the bill if passed into law. “That’s where Mr Bahati will have a technical challenge. The Ministry of Finance can refuse to give him this Certificate. That will mean he cannot reintroduce the bill,” Mr James Mukaga, a Clerk Assistant to the Parliament of Uganda said. Obviously, one factor that would have to be considered in determining the bill’s cost would be the impact the bill’s passage would have in foreign aid. It is estimated that foreign aid makes up a third of Uganda’s budget. Sweden has already announced that they would cut aid if the Anti-Homosexuality Bill becomes law, and it is believed that many other nations, including the United States, Britain and Canada, may have issued similar warnings privately. Last weekend, the Ugandan Cabinet announced that they were “throwing out” the Anti-Homosexuality Bill. Members of Parliament then responded that the bill, which is a private member’s bill, is the “property” of Parliament and that the Cabinet does not have the authority to kill the bill. If this report from Behind the Mask is true, then the ball may truly be in Cabinet’s court. However, the bill was already introduced in the Eight Parliament following a similar procedure, presumably including a Certificate from the Finance Minister at the time the bill was introduced in October, 2009. If the bill is simply carried forward from the Eighth Parliament to the Ninth Parliament, it is unclear whether a new certificate would have to be issued. Mr Bahati has meanwhile been preparing to bring back the bill to fight his own local political battles. He recently formed a local political grouping, the Kabale Parliamentary Forum (KPF) in his home area of Kabale, a town in western Uganda. The group is seen as a potential political threat to Uganda’s Prime Minister, Mr Amama Mbabazi who also hails from Kabale. Mr Mbabazi is the leader of Government business in Uganda’s Parliament. Some pundits have hinted that Mr Bahati may be using the bill for his own local political agenda. They claim he wants to show that Mr Mbabazi is the one blocking the Kill the Gays Bill if it is not reintroduced in the ninth Parliament. Bahati would then undercut the premier politically on the home front through trying to link him with the protection of homosexuals. Bahati’s political star has been rising lately on the strength of his notoriety. He was elevated to the ruling party’s caucus vice chair last June, and he was also named the chairman of the Ugandan Fellowship, a branch of the U.S.-based secretive group known as the C Street Fellowship or The Family. When the Ugandan fellowship held its inaugural dinner for members of the Ninth Parliament at the Sheraton Hotel Kampala in June, first lady Janet Museveni was on hand as guest speaker.